I had my exhaust cans off, looked inside the pipe and saw this. I was always wondering why the exhaust coming out the left hand exhaust was warmer and felt like it had more air coming out of it than the right hand side exhaust. I thought it was just in my head. 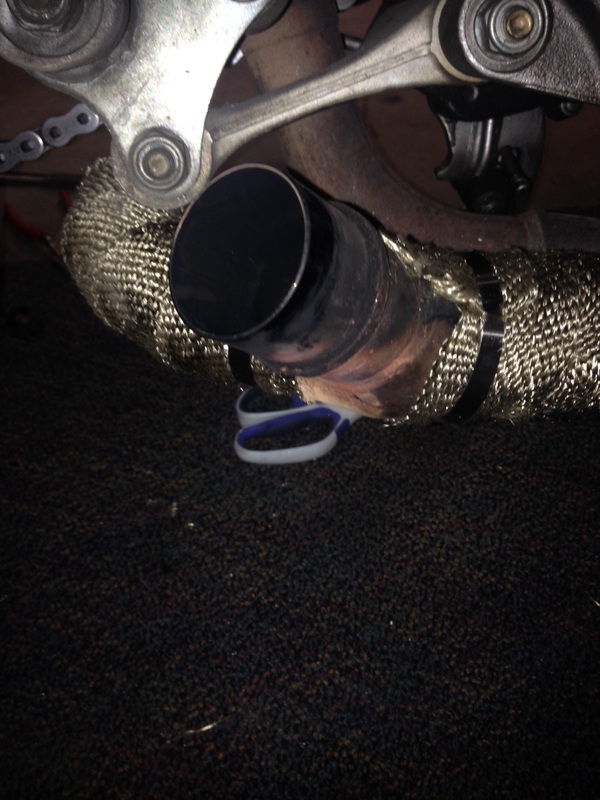 It turns out that Honda did not see fit to trim the pipes before welding them into the collector. So the opening to the right side exhaust is seriously constricted. I cannot leave it like this. Time to break out the Dremel and do some trimming on that opening. 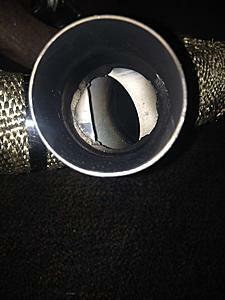 Does every Superhawk's exhaust look like this? Here are the pics from the right hand side of the bike, one to show the opening and one close up. Got it. Thanks for pointing that out. I did not see that thread. Bolted it back up as is, unmodified. Don't worry, I ground it out of my first Superhawk too lol until I later learned Honda put it there for a reason.